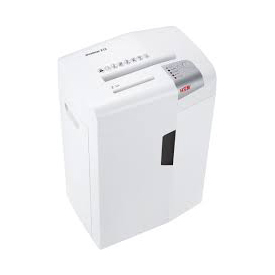 This document shredder ensures data security in private areas or home offices. The LED display enables you to easily view the operating state of the machine. An integrated light barrier starts the device automatically and switches it off again after the paper feed ends. The automatic reverse rectifies paper jams and ensures smooth operation. You can always see the level of the waste container through the inspection window, making timely emptying possible.